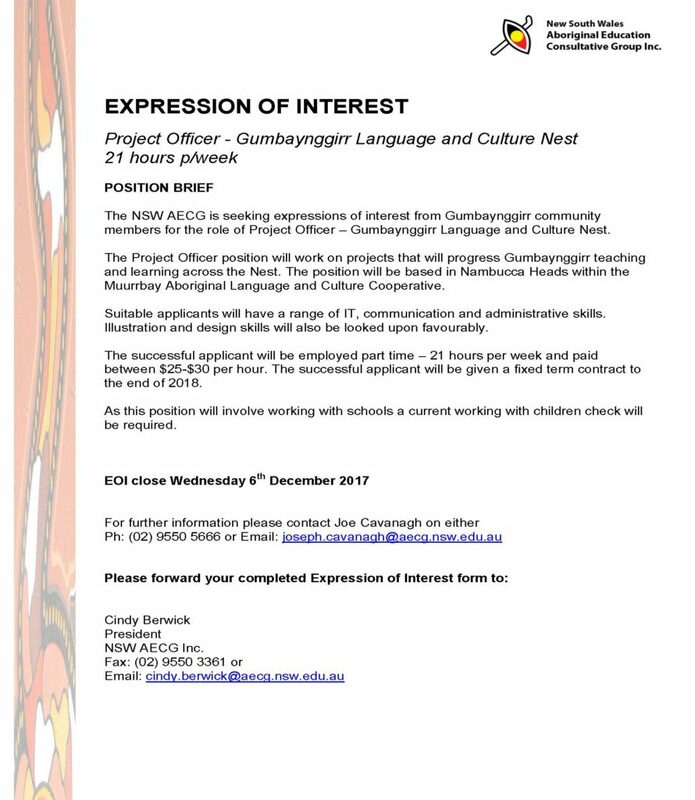 The NSW AECG is seeking expressions of interest from Gumbaynggirr community members for the role of Project Officer – Gumbaynggirr Language and Culture Nest. 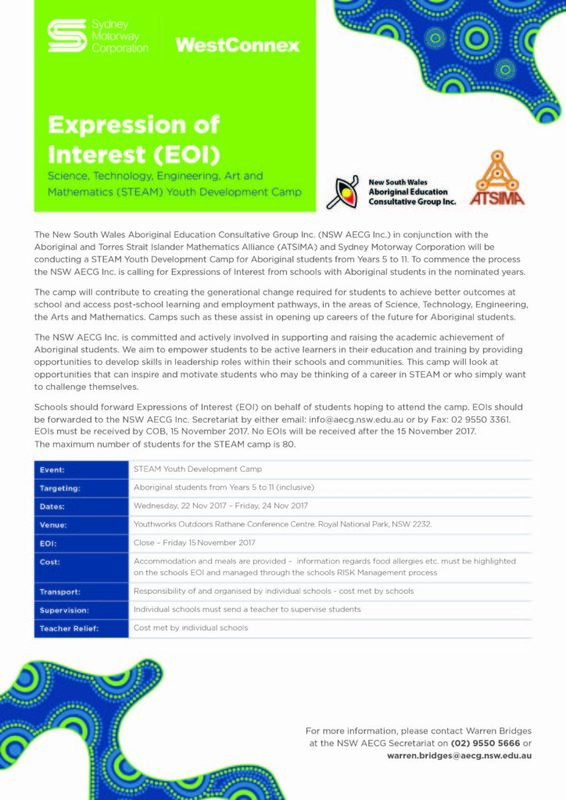 Please see below for more info and to download the EOI form. 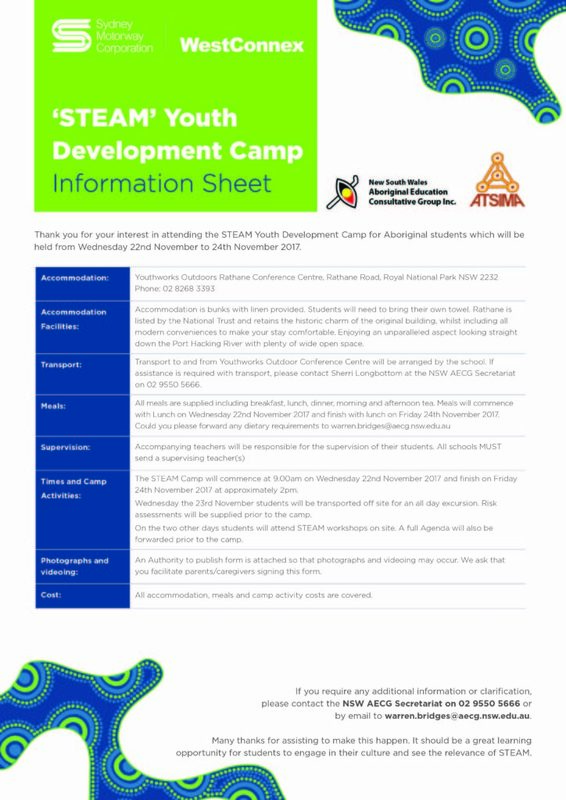 The NSW AECG along with the Sydney Motorway Corporation and Aboriginal and Torres Strait Islander Mathematics Alliance is running a STEAM (Science, Technology, Engineering, the Arts and Mathematics) camp from 22-24 November 2017 in Sydney. It is open to all schools – Public, Catholic and Independent.